Only when you trust who you are can you navigate through life in a way that's your own. 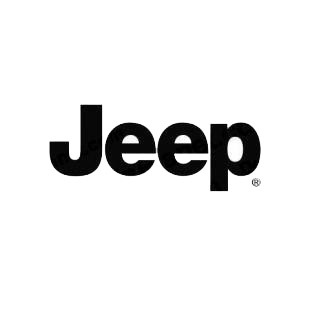 We partnered with The All-New Jeep® Compass to share how one entrepreneur found her true self by helping build a healthier community. It's 3:55 a.m. in Washington, DC and Jerri Evans's alarm is telling her it's time to wake up. "At least four out of the seven days I just want to lay there, silence my alarm, and get up when my body actually wakes up," she admits, "but there are people counting on me." Those people include the faithful customers that visit her Turning Natural juice bars, the staff that works there, and Jerri herself. As an entrepreneur, Jerri has to hustle. But the rewards go well beyond financial security. Her business has changed the lives of those in her community and helped Jerri on a path of self-discovery. Combined, the positive impacts of her business are enough to get Jerri out of bed in DC while night owls on the West Coast are just going to sleep. Let's start with her customers. Turning Natural has brought health food options to DC's Anacostia neighborhood, where Jerri grew up. 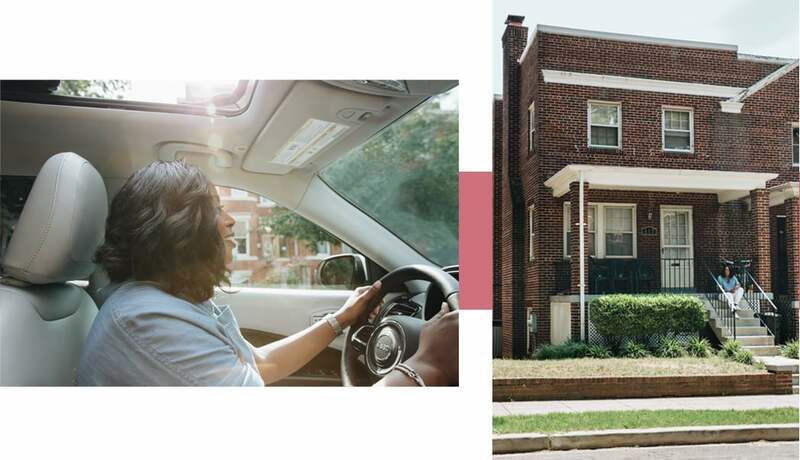 Located on the Southeast side of the nation's capital, Anacostia has long been known for its high crime rate and its tight-knit community. It's not a spot known for quality food. As a kid, Jerri recalls traveling to other neighborhoods to get healthy meals. 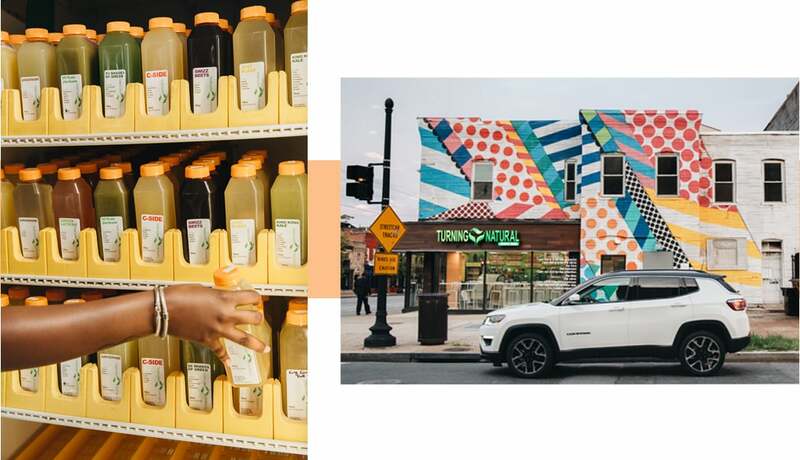 In Anacostia, you could find liquor stores, fast food, coin laundromats, a funeral home, and a church — but a juice bar? Not so much. It was Jerri's mother, Annette, who started Turning Natural, after being diagnosed with breast cancer. The health scare prompted Annette to prioritize her health and help others do the same. Sadly, after almost 10 years living cancer-free, the disease returned, and Jerri ultimately lost her mother. "When my mom passed, I was in a dark place and extremely numb," Jerri recalls. Eventually Jerri decided she had to move home from Atlanta to keep her mother's legacy alive. 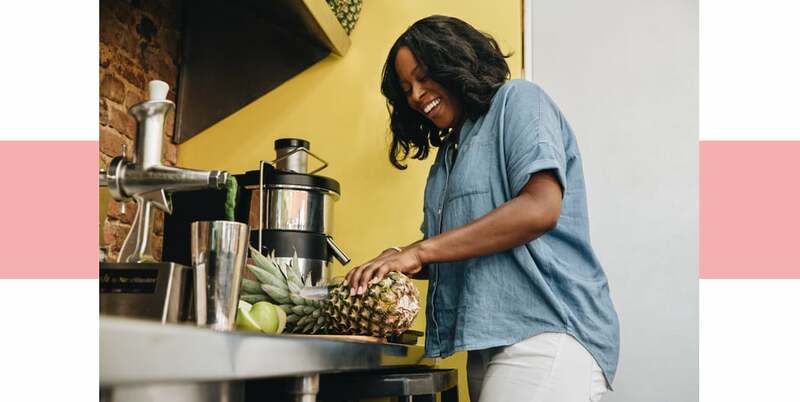 She traded a career as an aeronautical engineer working on fighter jets and stealth aircrafts for one that involves juicing pineapple and ginger — all with the goal of improving the lives of people in her community. It was a totally new direction for Jerri, but one that led to self-discovery and a renewed sense of purpose. "The moment I set out to help others, my life began to change," Jerri reveals. "Love has a way of lifting you, and remembering that keeps me in a space of gratitude and appreciation." Today Jerri’s Turning Natural has three locations, two in DC and one in Maryland. 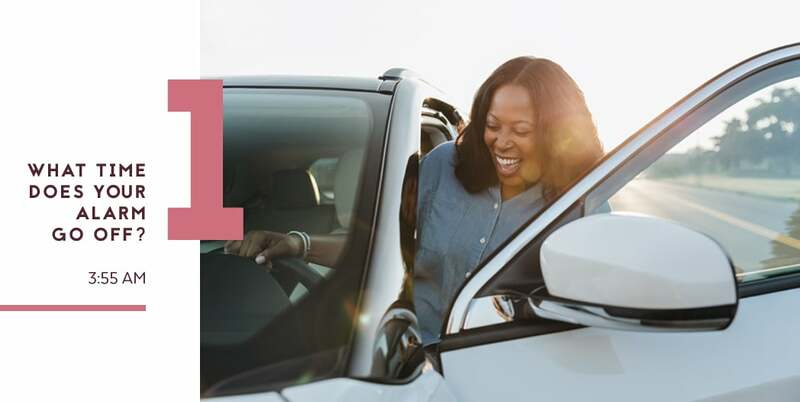 Each morning before she gets out of her car, Jerri does a five-minute meditation to bring on the good energy, and she often plays her mom's favorite song, "Rocksteady" by Aretha Franklin, to get pumped before the sun comes up. Despite the desire to snooze that alarm every once in awhile, Jerri says the morning is actually her favorite part of the day. She craves the solitude. "Every day I talk to so many people, so having that moment of silence is everything." As she arrives at one of her juice bars by 5:30 a.m., she passes a cast of early risers. "I see the truck drivers, metro transit drivers, street sweepers, construction workers, and more preparing the way for the masses who are about to fill the city." It's magical to witness the neighborhood come alive. 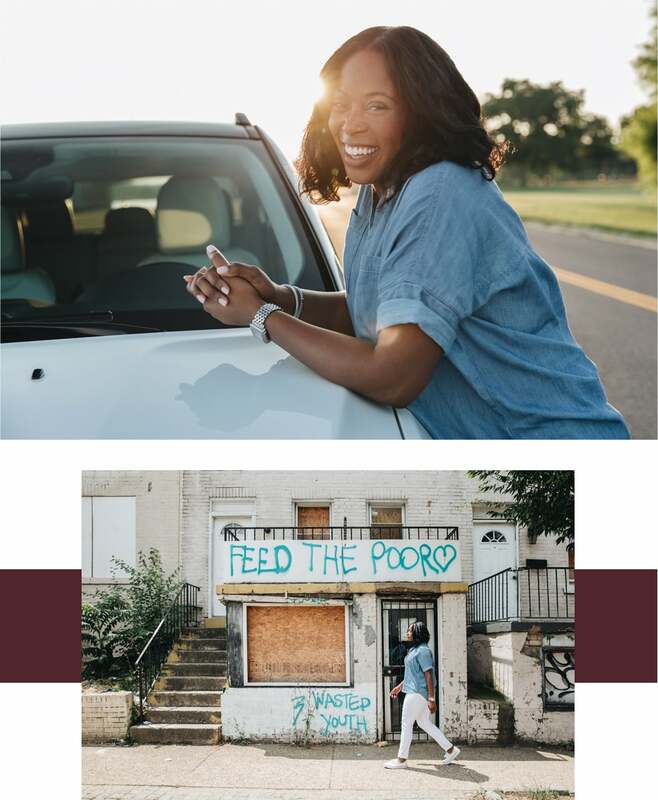 Jerri turned a long-vacant and dilapidated former speakeasy into her Anacostia location, which is now a vital part of the neighborhood. "Being in the heart of Washington, DC, we get all types of customers, from hipsters to stay-at-home moms who stop in with their kids before the park to professionals who need that shot of wheatgrass before going to deal with the politics of the day." What makes her juice bar different from the slick spots you might see in more affluent neighborhoods? "Our customers cross each other's path every day and share a smile or conversation while waiting for their product. We focus on conversation. You won't see our stores full of signage. Instead our staff communicates with and educates our customers." They've noticed. Customer Theorn Miller, 33, appreciates the chance to learn and says "the nutritional information provided truly motivates you to eat to live instead of living to eat." Jerri's juices also have fun names, like "Swizz Beetz," which comes with apples, beets, ginger, and lemon. Or, "Mikale Jackson," packed with dandelion, kale, pear, apple, lemon, and ginger." Jerri wants Turning Natural to be more than a place to grab a juice. She feels rewarded when kids stop by with their parents in the morning, genuinely excited to share details of the previous day. It brings her joy to know they'll be starting another day off right with a healthy breakfast. Turning Natural provides a valuable service to Jerri's DC community that would otherwise lack healthy options. "Most of the communities where our juice bars are located are considered 'food deserts' that consist of carry-outs, liquor stores, or convenience stores, none of which offer nutritious food," she explains. The USDA defines food deserts as a place where a significant portion of the population lives far from a supermarket or large grocery store. 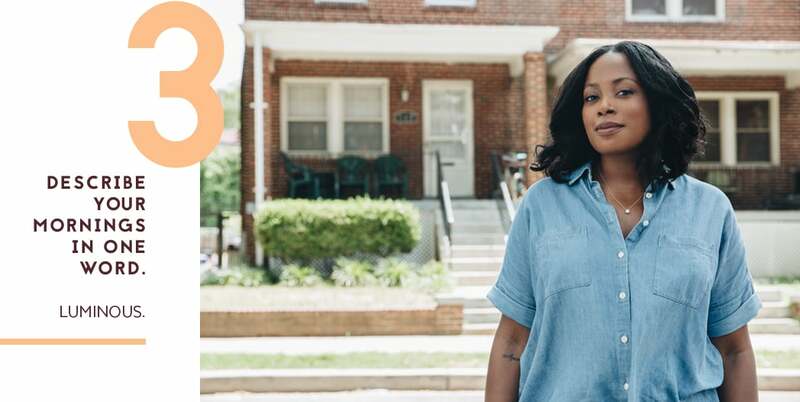 According to US Census data, the area surrounding Jerri's Anacostia store has a relatively high number of households without cars that are more than half a mile from a supermarket — meaning it's difficult for many residents to access fresh food. That's where Turning Natural comes in. In addition to juices and smoothies packed with fruits and vegetables, the store also sells healthy vegan food options. 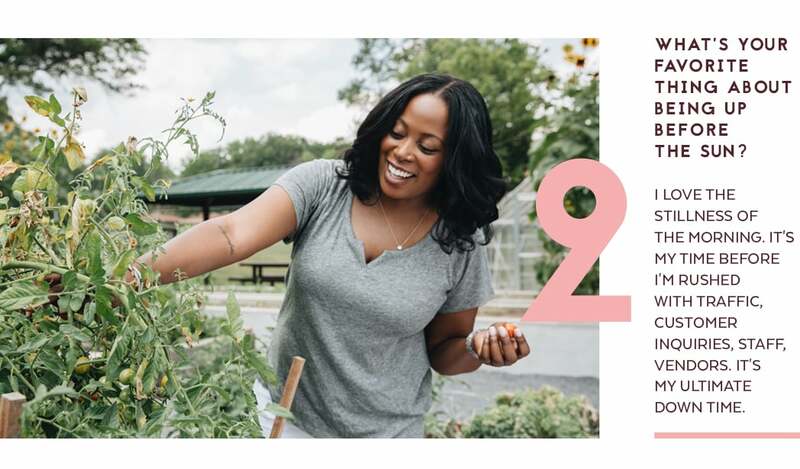 Since establishing her business, Jerri has seen a change in her customers’ habits: "At first you watch them getting the fast food, and then they come in to get the smoothie. Eventually you start to see them in the mornings without the fast food." 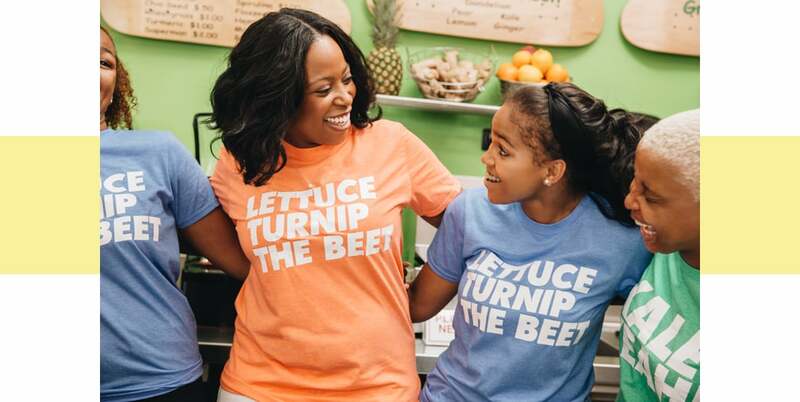 Jerri's impact goes beyond the Juice Bar, according to Titilayo Bankole, 46, who has lived in the area her entire life. "I've been able to change how I ingest food daily," she explains. "If it isn't from Turning Natural, I'm home blending my own smoothies. They've taught me how to put my fruits and veggies together so that I will get the nutrients needed for my health and wellness."